Chris was beaten down and discouraged from years of missing his own expectations. 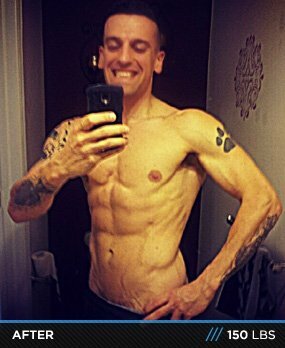 The former Marine found help from an IFBB pro and pledged to transform! I was tired of feeling like I couldn't be anything. I played tons of sports, never made the cut, and was always picked last. In 2000, I joined the Marines and served my country at home and in Iraq. 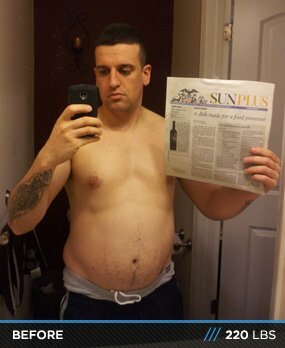 The military had me in great shape, but I was young, ate like crap, and lacked knowledge. It's probably why I was never the big bad Marine like you would see in movies. This was going to be another average year, but I decided to change my path at 29 years old. Being overweight is common in my family, so I wanted to buck the trend. 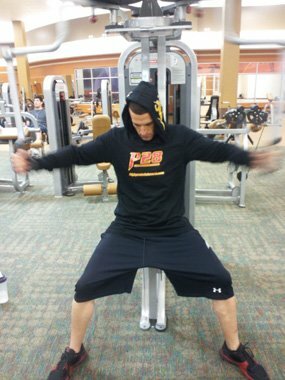 I joined up with IFBB pro William Sullivan, a.k.a The Breadman, and P28. It was the right place at the right time. The support was mind-blowing. I was accepted and guided from the start. I was motivated to feed off their success. It made me strive to be at the top and join a successful team. My prep wasn't easy. Going from the gym to the stage is difficult, but I was focused and hungry. I wanted to finish what I started. I hit the stage on October 27, 2012, at the Shawn Ray NPC and didn't place, but I was part of second callouts. I was foreign to training and dieting, so I went to the library and read anatomy books and got an exercise log from Bodybuilding.com. The information in the anatomy book explained how to target muscle groups and Bodybuilding.com provided the exercises. There was no magic pill or button to hit. Hard work and eating clean was the only way. I had to make my own destiny. The success was sweet and I'm thankful for the guidance from P28. He was miles away, but was always there when I had a question. I can never pay him back for the help I received. The most important reason for my success is God. Trust in the lord and you'll be showered with rewards of success. Many thanks go to my family, P28, and Team Total Athlete. Now, my son asks how strong I am. He asks if I can lift 100 pounds. I say yes, and he smiles and laughs. For a 6-year-old, he thinks 100 pounds is Hulk-like strength. I ate seven balanced meals throughout the day depending on training. A well-thought out plan keeps you from wasting time. Staying focused on a diet while people around me ate whatever they wanted was hard. Prepping my meals helped a lot. It took away the margin for error. As a culinary chef, my love of food made it hard to express myself. I wanted to showcase my talent, but I had to figure out how to change the food. I want to focus on ways to be better, but my dream is to become part of a company where my story can help and inspire others. I will take the NPC by storm soon. Don't think your dreams can't be reality. Set a goal with an end date. Get an exercise log and write down everything. Find friends with the same interests. Most of your development happens after the gym. Don't listen to outside opinions. Switch up your training and listen to your body. Have a ton of heart. 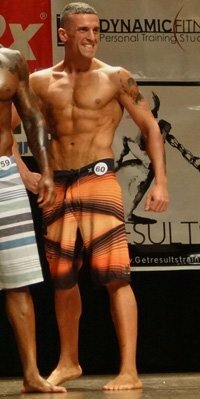 I thank Bodybuilding.com for just creating a site where I can see tons of inspiring members who strive for the same goals as me.